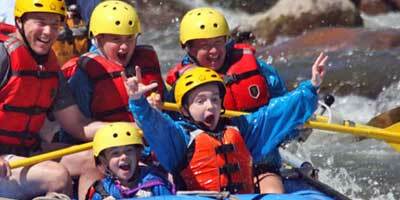 ARKANSAS RIVER TOURS has offered exceptional whitewater rafting trips in Colorado and New Mexico since 1973. Our trips range from 1/4 day family adventures to 3-day wilderness expeditions. So join one of Colorado's premier river outfitters this season for an exciting whitewater rafting trip. Adventures available for the timid beginner or the seasoned veteran on America's favorite, the Arkansas River in Colorado. Plan your vacation on one of these classic rivers. Guided float fishing on the Arkansas River and the Gunnison Gorge. Rafting on the Wild and Scenic Rio Chama in New Mexico.